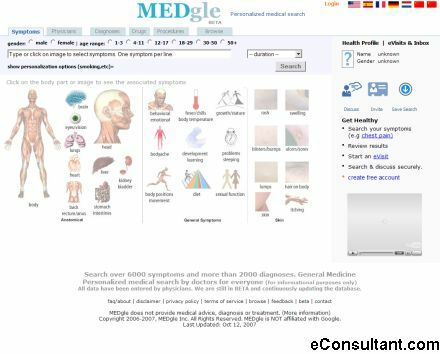 Description : MEDgle is an online information and educational service. With the thousands of articles and sites available, finding relavent medical information is difficult. MEDgle’s goal is to make medical information easily and intuitively accessible for the benefit and betterment of everybody. Simply: search, learn, and thrive.